I hope everyone is enjoying this lovely little fantasy novel. If you are having trouble locating a copy to buy, I can try to help you out (I'm a used bookseller by day, Crispy Cook off-hours) so feel free to shoot me an email or leave a comment below. Otherwise, most librarians ought to be able to hunt up a copy of this juvenile fantasy classic through an interlibrary loan. J.K. Rowling has noted that this book was one of her childhood favorites, and one can certainly see where the Harry Potter author got inspiration for some of her magical descriptions and mouthwatering images of Wizard food. Goudge conjured up the character of Marmaduke Scarlet, a tiny, temperamental kitchen artist with a "ham frill" of snowy white whiskers and pointy ears, who produces majestic veal pies, picnic hampers overflowing with iced fairy cakes, jam sandwiches, and cream horns, and other hearty spreads for our heroine, Maria, her governess Miss Heliotrope, her cousin/guardian Sir Benjamin and of course, Zachariah the Cat and Wrolf the Dog. There are so many delightful scenes of feasting, fireside dinners and teatimes that I am sure everyone will easily find something wonderful to create in their own castle kitchens. 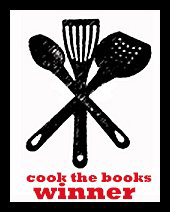 The next round of Cook the Books will be hosted by Rachel, The Crispy Cook. She was taken with Foodycat's suggestion here of the young adult classic "The Little White Horse" by English author Elizabeth Goudge. Goudge was best known for her bestselling adult novels in the 1940s-50s, including "Green Dolphin Street", "The Scent of Water" and "The White Witch". "The Little White Horse" is one of Goudge's novels for younger readers, a fantasy about an orphan girl in 1840s London, her governess and her new guardian cousin, the owner of a magical castle. Rachel says: I found it to be a delightful read with lots of British Victorian food descriptions and a grumpy but talented magical servant cook, so I think that will open up some interesting culinary options for us. The book won the British Library Association's Carnegie Medal in 1946 and J.K. Rowling says it was her favorite book as a child (Harry Potter fans will see where she got inspiration for her luscious descriptions of Butter Beer, Chocolate Frogs, and lavish Hogwarts feasts that pepper the series). The always entertaining Tim Curry is featured in a 2008 film version of this novel, called "The Secret of Moonacre" which debuted at the Toronto Film Festival earlier this year and was released in the United Kingdom in February, but does not yet have a release date in the U.S., so you'll be very "in the know" when spotted reading this book. "The Little White Horse" will be our May / June selection, so you should have it read and your dish posted by Friday, June 26th. This is an easy read and will be a fun one to kick off summer! 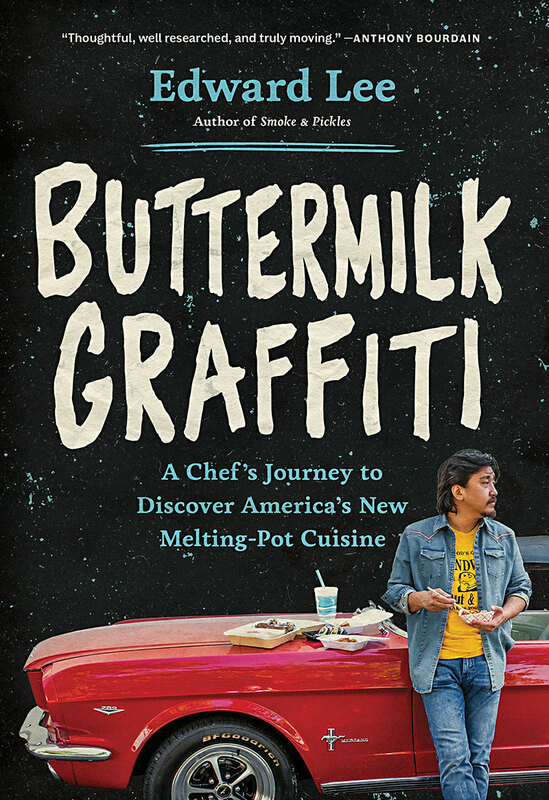 Our next book was picked by yours truly, Deb at Kahakai Kitchen. Since we have spent some time in Europe, the Middle East and America, I thought it was time we explored the mysteries of China with "The Last Chinese Chef" by Nicole Mones. In this foodie novel, a recently widowed American food writer finds solace, love and of course incredible food during a visit to China to clear up a paternity claim against her late husband's estate. Her editor gives her an assignment to profile a rising star chef, Sam Liang and she is drawn deep into China's culinary world, learning and being transformed by the cuisine, Sam's colorful family and Sam himself. This is Mones third book, having authored "Lost in Translation" and "A Cup of Light", both also set in China and she is a frequent contributor to Gourmet Magazine. "The Last Chinese Chef" is a novel about food, family and love, and I can envision the many incredible dishes we will be inspired by it to create. "The Last Chinese Chef " is our July/August selection, so you should have it read and your dish posted by Friday, August 28th. Vittel, la Foire au Fromages (cheese festival) at Livarot or the Medoc Marathon in Burgundy where runners refresh themselves with bottles of expensive red wines. His tone is funny and relaxed and he makes you feel you're on holiday too! Mayle loves France and her people. Born in Brighton U.K. he and his wife live in Provence (South of France) . He is the author of many books, such as "A Year in Provence", "Chasing Cezanne" and "A Good Year" and has has contributed to The Sunday Times, the Financial Times, The Independent, GQ, and Esquire. You should have "French Lessons" , our September/October selection, read and your dish posted by Friday, October 30th.